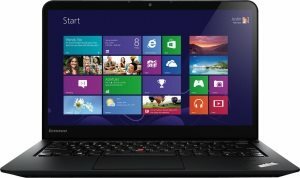 Lenovo ThinkPad S440 20AY 14" Touchscreen Laptop Core i5 4210U 8GB RAM 256GB SSD. This laptop features an HD+ antiglare display, improved graphics support and impressive performance with Intel Core processor. This laptop features an HD+ antiglare display with 10-point multitouch, improved graphics support and impressive performance with powerful processors. Stylish, Svelte Design. Premium Features. The S440 Touch shell combines aluminum and magnesium alloy for both durability and lightness. A single unified hinge adds strength, while also enabling 180-degree opening so the Ultrabook lies flat or rests at any angle. Unique attention to detail like indented sides for carrying add convenience and style. 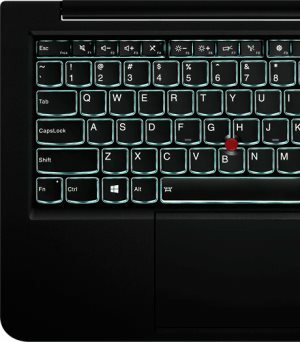 Full-sized and spill-resistant, the legendary ThinkPad ergonomic keyboard is renowned for its full array of keys, excellent feel, and TrackPoint® pointing device. And now it's with convenient multimedia buttons, LED status indicators, function-lock capability, and immediate access to apps. Plus, a larger, smooth TrackPad with 5-point click integration can be configured multiple ways through Settings. 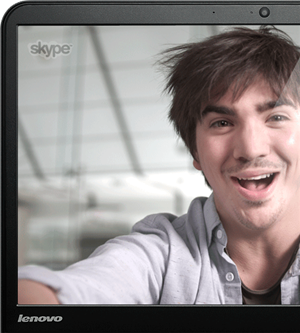 A low-light sensitive webcam with wide-angle viewing and face-tracking, along with dual noise cancelling microphones deliver crystal-clear private and conference mode VOIP meetings. Plus, convenient multimedia keys provide quick and easy access to microphone, speaker, and camera controls.